How does Peak Pricing work? Peak Pricing has been suspended due to the new 3-movie plan rollout beginning August 15th, 2018. Let’s take a quick look at Peak Pricing, designed to ensure that you enjoy MoviePass at a low monthly price for years to come. Peak Pricing goes into effect when there’s high demand for a movie or showtime. You may be asked to pay a small additional fee depending on the level of demand. You can avoid the surcharge by selecting a different showtime or movie. Over the coming weeks we’ll also be introducing Peak Pass, which will allow you to waive one peak fee per month. This red icon indicates that a specific showtime is in Peak Pricing and there will be an added fee. 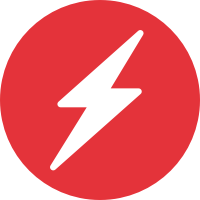 This grey icon indicates that a showtime does NOT yet have an added fee, but is growing in demand and could enter Peak Pricing soon. Note: the actual Peak Pricing surcharge will vary based on showtime and movie title. Please note that if you do not see these icons, Peak Pricing may not have gone into effect in your area. Peak Pricing is rolling out gradually over the next several weeks in order to ensure the best possible experience. It starts today and impacts a limited number of showtimes – please remember to check the app for the latest local showtimes before leaving for the theater. More answers to Peak Pricing questions can be found here. Thank you for your continued support and for being a loyal member of MoviePass. 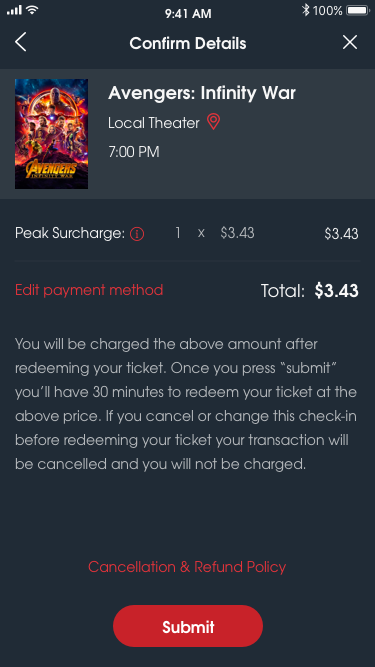 Can one MoviePass membership be used for two people? Which MoviePass plans are currently available? 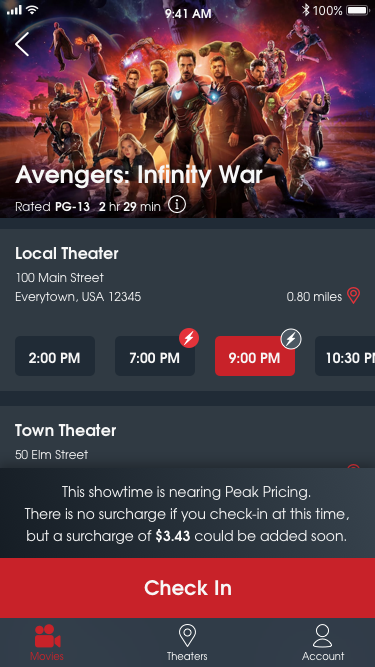 What should I do if the MoviePass app is not working?